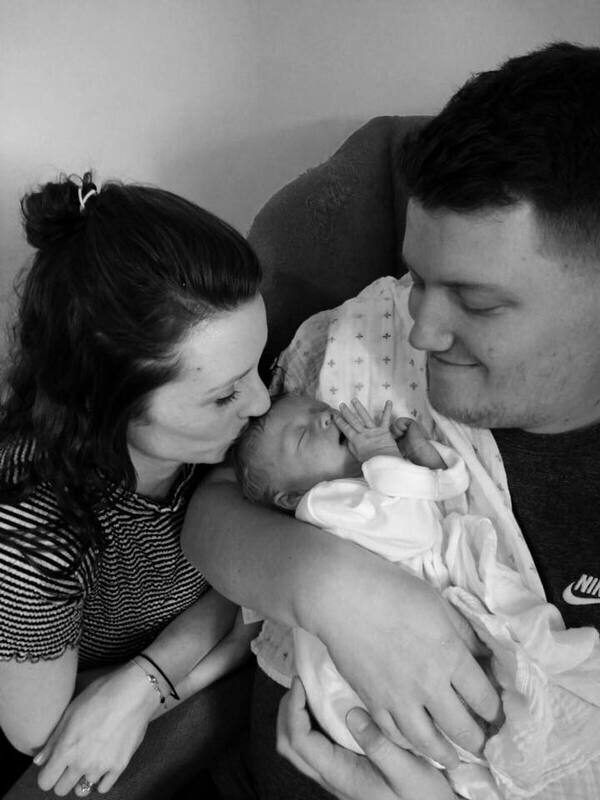 5 Things I want you to know about living with PND — Isabella and Us. As Isabella turned 5 months old I finally sought help and support for how I had been feeling since becoming a mum. I first sought out counselling when Isabella was 5 months old and have since returned for my second block of counselling after self-referring last November after returning to work. For me the constant battle and grey fog of living with PND will probably always be a struggle but some days the sun does break through those clouds! It can be so hard to explain those feelings - Before getting the support I so desperately needed I explained how I was feeling to Chris. But I just couldn’t really fully explain. Those feelings where so raw and made me so extremely vulnerable, but I also really couldn’t find the words to truly get across just how I was feeling. How can you start to explain to someone, especially the person you created your baby with that you don’t want to be a mum, that you don’t feel bonded to your baby and that you can’t cope. Looking in from the outside I probably looked like I was doing okay - but I really wasn’t. I was struggling but I hid it well. I managed to hide it from Chris for 5 months. Just because I washed my hair, I got dressed and put make up didn’t mean I was okay. In fact the fact that I had a full face full of make up the day after Isabella was born and never once stopped to rest probably should have set alarm bells ringing early on. Some days now I don’t want to leave the house, I don’t want to go out but there are times when I know I have time and times when I know I can just be at home, not dressed, no make up and just feel those feelings. It’s okay to talk - The best thing I did to recover and to get the help I needed was to talk. Talking openly about my PND helped me to start recover and this is one of the reasons why I talk so openly about it, for my own recovery. When I was first diagnosed I found it difficult to talk face to face to people about it, mostly because of the fear of judgment, especially around the lack of any bond I felt towards Isabella but over time I’ve come to realise that those around you that care will accept that you felt this way, they may feel upset for you but they would never judge you because they know that it was never your fault. And most importantly they were there and are still there to hold your hand through this. I can’t remember the first few months of Isabella’s life - I look back through photos of Isabella and the time we spent together and I don’t remember any of it. I look at the photos of me and Isabella (the few that exist) and feel like I’m looking at someone else’s life. And for this I feel guilty! I should remember those first few months but the only thing I really remember is being handed Isabella after giving birth and asking for her to be handed straight to Chris, because in that moment I just wasn’t ready. Now there is nothing I can do to change these events and the lack of photographs, but what I have tried to do is to take lots of photographs now and to build a scrap book so that we can look back together. It’s a constant battle each and every day - I don’t think that the grey cloud will ever truly lift, some days its a really heavy dark cloud, other days it’s more like a fog and some days the sun does shine through the cloud. Little things can trigger a whole host of emotions, from looking back at old photos, to others talking about their experiences, to watching Isabella laugh with her Daddy or leaving her with the childminder. What I do know is that it does get easier and you learn to manage those feelings and what to do when they arise. It’s important to remember that getting the help and support you need is crucial to the fog lifting and the sun to start shining again, even if it only shines a little right now. If you feel you may need some extra support because you are struggling please do see your GP, because getting the support you need is just so crucial.